*Excludes Cheryl’s hand dyed yarn. Sorry, the Sale is in shop only! You should hurry into The Fiber Closet to purchase the yarn, pattern, and notions that you need to start your fall projects. 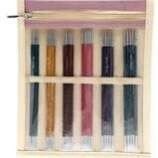 We just received a shipment of the newly released Knitter’s Pride Royale needles. These fabulous needles & tips are so gorgeous and a dream to knit with. 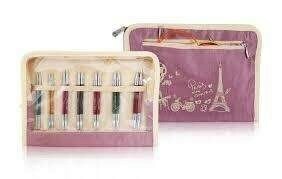 We have a variety of styles, sizes and sets. hint, hint Buy your Royale tips or set today while they are at a great price. Because they won’t last long at these prices, your should shop today! We also received a shipment of the new Top This hat kits with football toppers! We have a variety of team colors. These are a super quick, fun project. 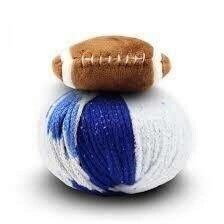 Knit or crochet a hat this week to support your favorite team. Beginning Sunday, September 4, we will be closed for approximately 2 weeks. Stay tuned to our Facebook page, The Fiber Closet Club page for more information concerning our reopening and hours. 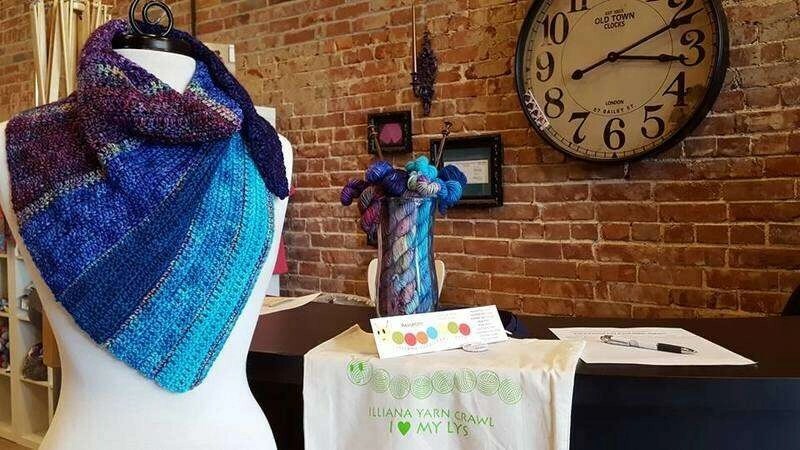 If you were unable to participate in the Illiana Yarn Crawl, the patterns are now available on Ravelry for a nominal fee. The Fiber Closet also can sell and print off the patterns and a copy goes directly into your Ravelry library. They are available in both knit and crochet versions. The countdown is on for The annual Covered Bridge Festival October 14 – 23, 2016. Start making your plans and be sure to visit us at The Fiber Closet! You never know what fiber goodness we will have planned for you.